This ebook from leading risk management consultancy Argyll Environmental, with input from the Know Your Flood Risk campaign, examines offers a comprehensive overview of its development and the key points to consider when assessing flood risk. It is estimated that one in six properties in England and Wales are ‘at risk’ of flooding – almost six million homes – and the Association of British Insurers has put the cost of flooding at over £1bn a year. On top of this, flooding has significant – and lasting – consequences in terms of stress and anxiety, with many people having to deal with the loss of often irreplaceable possessions and the feeling that the whole process will repeat itself again and again. However, it does not have to be this way. 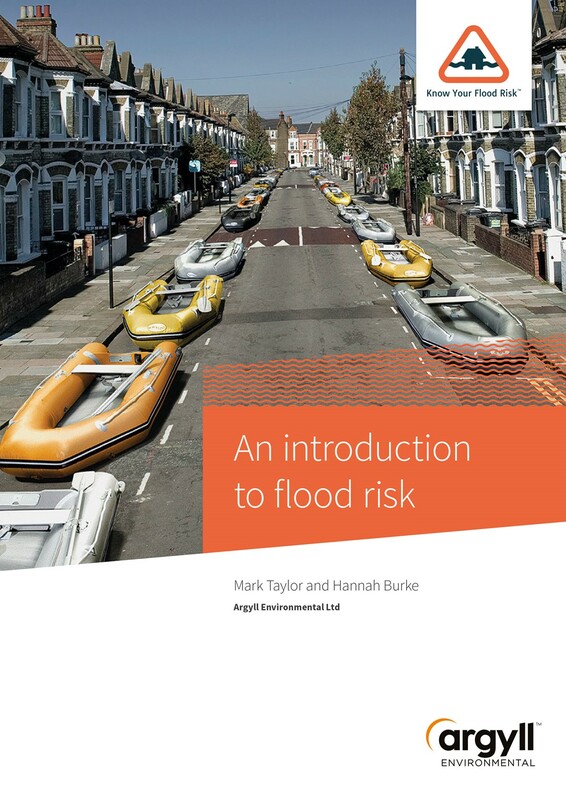 This comprehensive guide provides a wealth of information on flood risk, covering everything from the sources of flooding to flood resilience and resistance, and how risk can be mitigated through design. There is an in-depth look at flood risk and planning policy, from the development of the first guidance in 1992 right up to the National Planning Policy Framework and the introduction of Flood Risk Assessments. In addition, Argyll examines flood resistance and resilience, highlighting some of the most commonly used measures to either protect against floodwater entering a building or ensuring the interior is constructed in such a way as to minimise permanent damage. There is also a look at Sustainable Urban Drainage Systems, or SuDS, which aim to manage the flow of water by mimicking the natural environment. Finally, the ebook offers a guide to drawing up a Household Flood Plan listing the actions to take in the event of a flood warning, as well as some useful resources for information. Genuine experience needs to come from employing a professional civil engineering practice with experience in hydraulics and civil flood design mitigation. Many clients have raised concern about mapping companies which claim they provide professional advice, when they are computer generated flood risk assessments to the nearest post code.